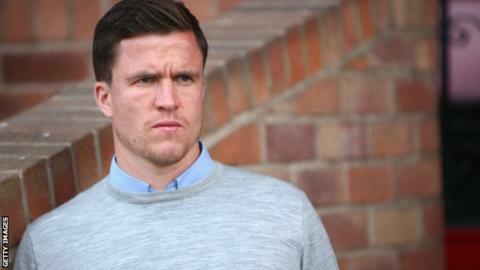 Wigan Athletic will improve when their new signings settle into the club, says Latics boss Gary Caldwell. Caldwell has added 15 players to his squad since Wigan were relegated. Wigan lost 2-0 to Coventry in their opening League One game and were beaten at home by Bury in the League Cup. "I knew it wouldn't happen overnight, there are a lot of new faces and a lot of people still getting to grips with a new club," said the 33-year-old former Scotland international defender. "It will happen - I think you can see signs of improvement and we'll keep working hard on the training pitch to make sure it does. "Once it all clicks into gear, I'm sure we'll be a really exciting team that is very attack-minded team and scores a lot of goals."